sailboat. 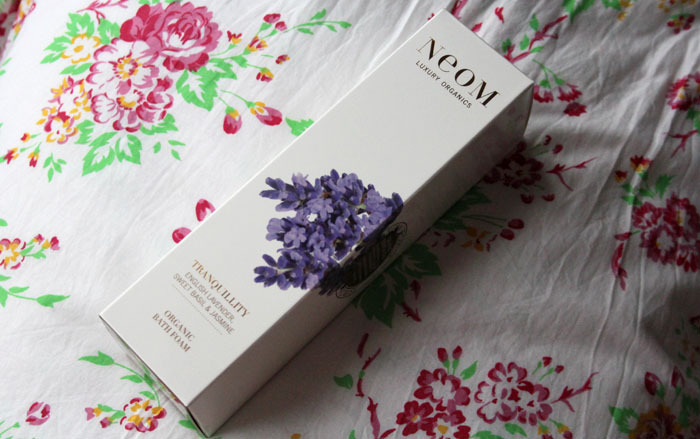 : Review: NEOM Luxury Organics Tranquility Bath Foam. 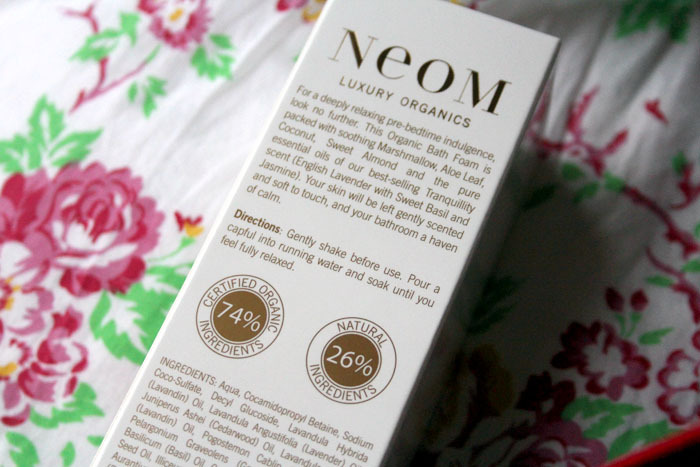 Review: NEOM Luxury Organics Tranquility Bath Foam. As winter creeps ever closer I find myself suddenly on the look out for new bath products because, well, everyone loves an excuse to take endless bubble baths when it's cold outside, right?! After two years(!!) of research & development, the clever folks over at NEOM have created a bubble bath that is completely free from SLS, which is a not-so-nice foaming agent that you'll find in a lot of products. 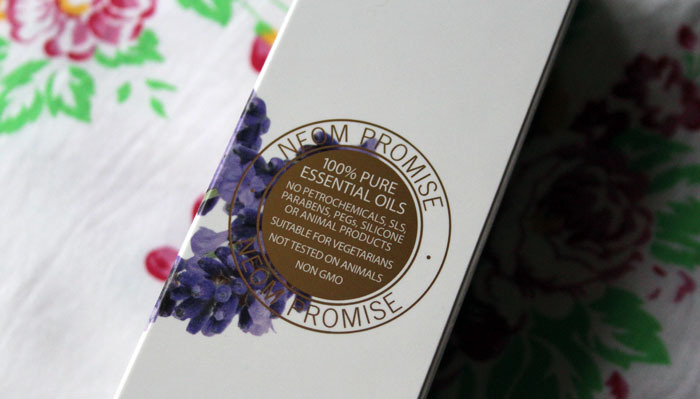 Although it is deemed safe, it is an irritant and can aggravate particularly sensitive skin. It's one of those ingredients that if I can avoid it, I will wherever possible. 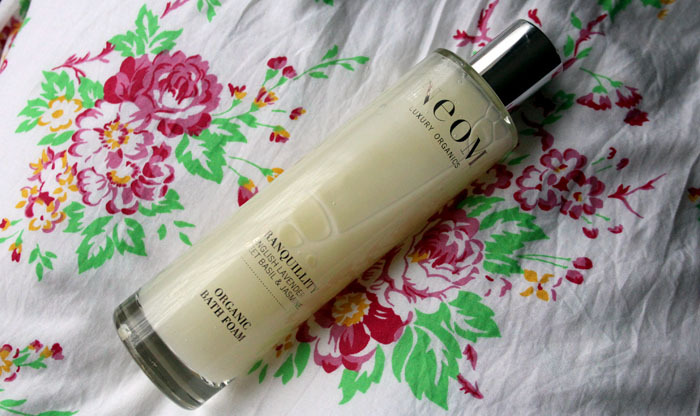 NEOM Luxury Organics Tranquility Bath Foam is the ultimate relaxation bath product for me. I've had a particularly stressful few weeks with University and having a bubble bath before bed using this has sent me straight off into the land of nod for a full 8 hours! Heavenly! It contains lavender, but it's not one of those super overpowering lavender scents, instead it's much more fresh and completely wonderful when combined with sweet basil and jasmine. Bubble wise, I'd say I'm very impressed. Using a cap full of product, which I'd consider a relatively small amount, you get bubbles aplenty and they feel really luxurious. They're not the most long lasting bubbles, by the time I'm reaching for the towel they're all but gone but that's fine my me. The packaging, a heavy glass bottle, is gorgeous and I wouldn't expect anything less from NEOM; they really are a completely luxurious brand with luxurious products to match. At £20 a bottle this is definitely a luxurious purchase, but it would make the most perfect gift, I already know what a few of my nearest and dearest will be getting for Christmas! Have you ever tried any NEOM products before? 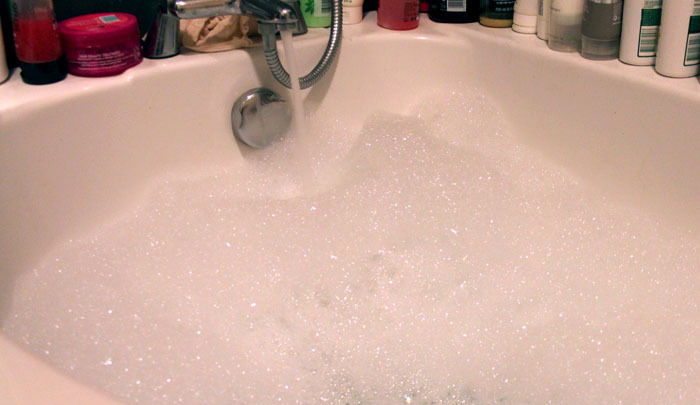 I love a nice bubble bath too and the idea of this one before bed sounds soooo nice! oh this bottle is beautiful. i haven't used this before, your review is awesome:)! Wow this looks lovely! Very pretty, high-end looking gift! This looks like such a lovely product! I wish Christmas wasn't quite so far away!